As the blog turns 7 in a few months, I recall the wonderful times I’ve had, life experiences I’ve gained along the way, friends I’ve made and wonderful opportunities I’ve been presented with. Alas, it hasn’t been smooth sailing throughout. With success comes great responsibility, and not to mention haters. I’ve learnt that there is no point trying to explain myself (or my blog principles) to such people, as they seem committed to misunderstanding me. Passion means having a strong belief and sticking with it. It’s a shame when some fail to understand why rif and I run the blog the way we do, and despite telling many we both have a full time job, they don’t get why I can’t just drop everything I do at the office just so I can attend events or reviews. While I am grateful to be considered, I don’t rely on the blog for income unlike some bloggers. And rif and I manage the blog and brand it the way we deem fit. Besides, who’s to say we’re doing it wrong? I brand people and businesses for a living and am good at it. I’ve stuck to my principals and the reason (and foundation) for starting the blog. And I love people with strong principals. 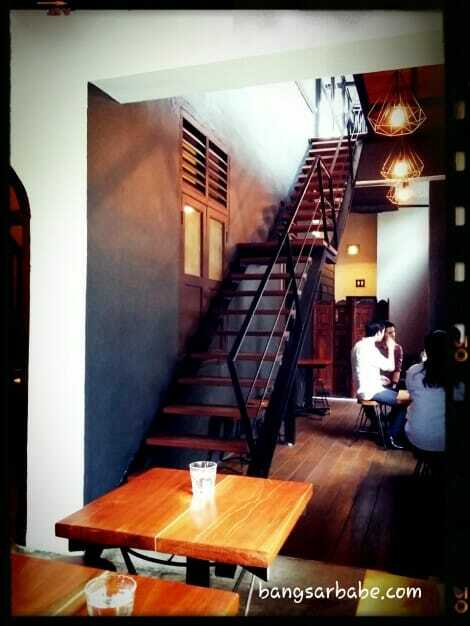 Like Ee Han of VCR Coffee in Kuala Lumpur. It took me a while to make my way down there despite working nearby and the coffee is good. VCR occupies a house at the corner of the street and the ambiance is one of my favourite thus far; wood and brick elements, high ceiling and warm lighting. My flat white (RM10) was just what I needed to perk up my day. It was well made, at about 65-70 degrees Celsius and had a thin layer of foam – the barista is good. 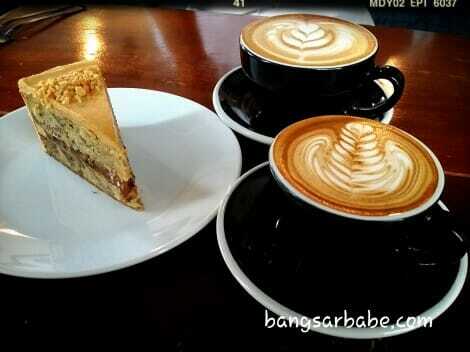 rif’s latte (RM11) was equally as good; not overly foamy yet silky from the steamed milk. 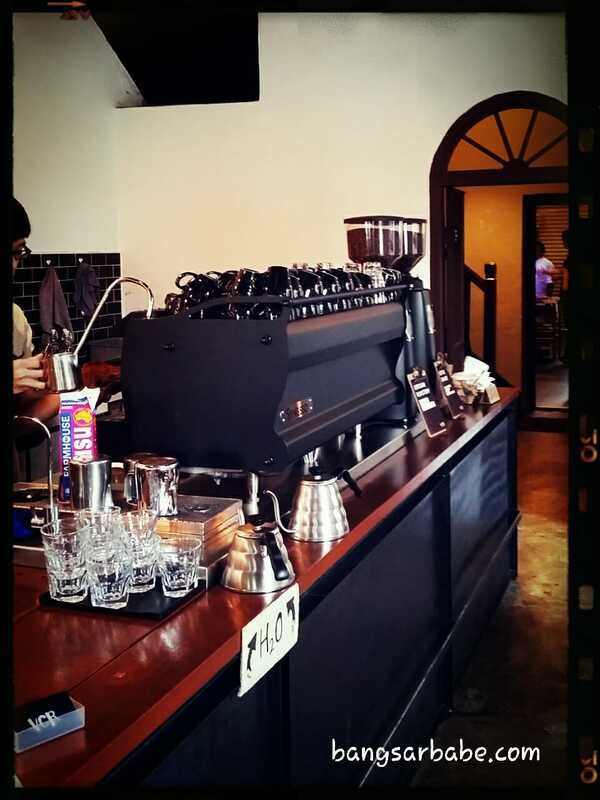 VCR uses two types of beans; Coffex and Artisan. 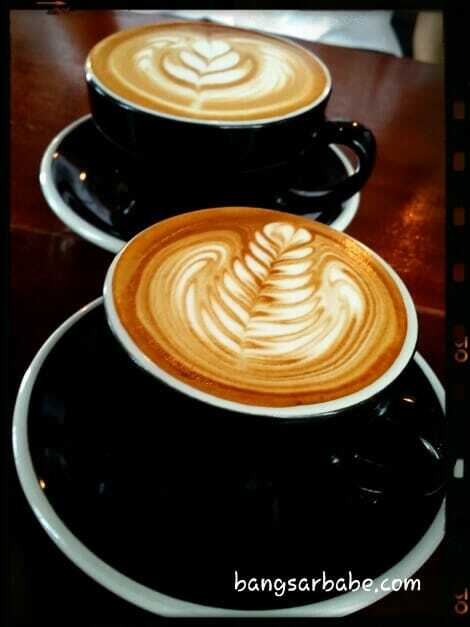 Coffex is used for milk based drinks like my flat white and his latte, to give them a chocolate-y, smoother finish. This came as a surprise, because I’ve had coffees (both flat white and latte) made using Coffex and they didn’t taste this good. 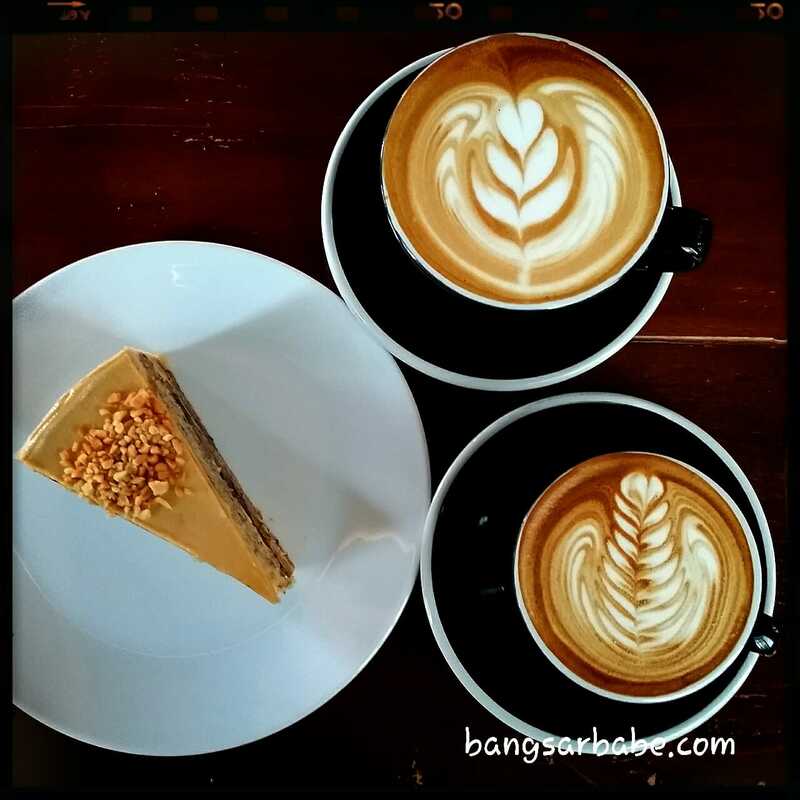 I guess it boils down to technique and skills, plus the baristas take a bit longer to prepare the coffee so timing is probably another key factor as to why the coffee is this good. I do hope VCR keeps this up as I like their values and key direction of serving good quality coffee in a cosy environment. 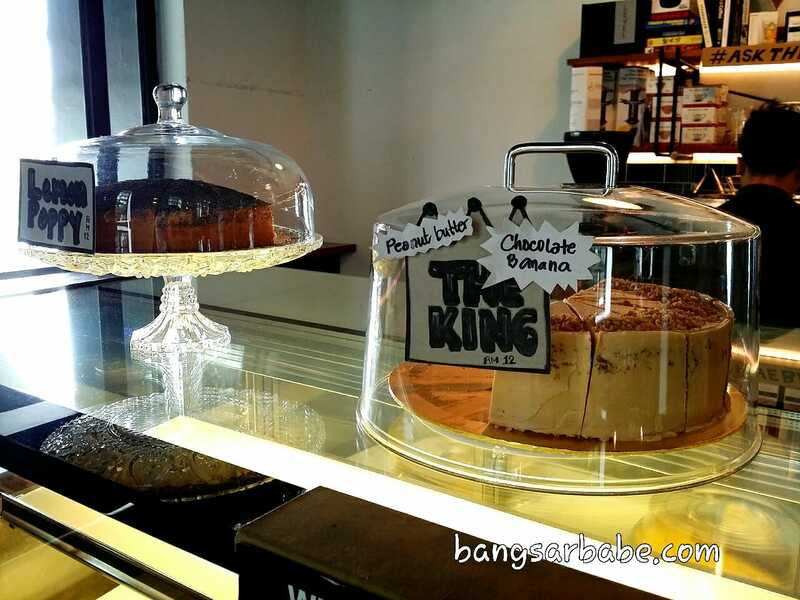 By the way, you must try the Peanut Butter Banana Chocolate Cake (RM12 per slice) when you’re there. There’s a reason why it’s labelled “The King” at the cake counter. 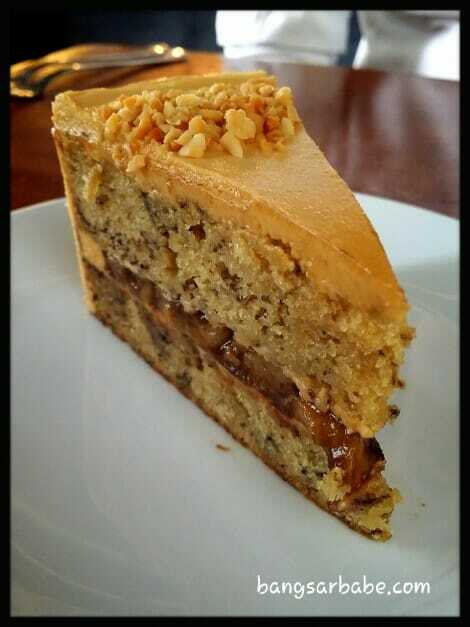 It was moist and fairly dense with a layer of fresh banana slices and chocolate at the centre, and topped with a delicious peanut butter frosting. Verdict: Love the coffee, cake and concept. Most importantly, they do it with passion. 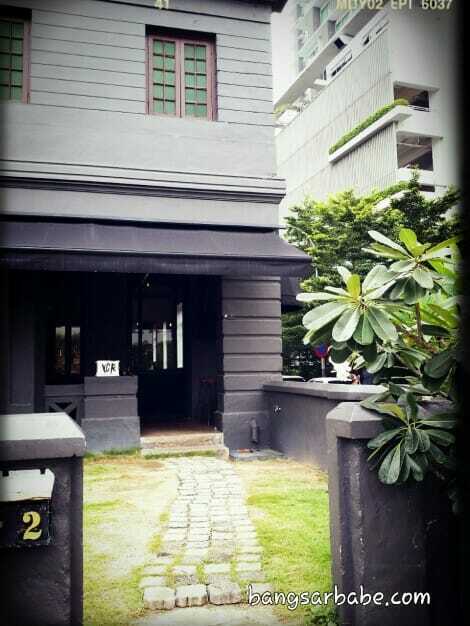 Aiyo…next time say hi ok! Don’t shy. I didn’t realise it was you because you were at the corner. Sorry!! OMG my long lost commenter/friend hahaha! Apa macam la?? Mana pergi?? 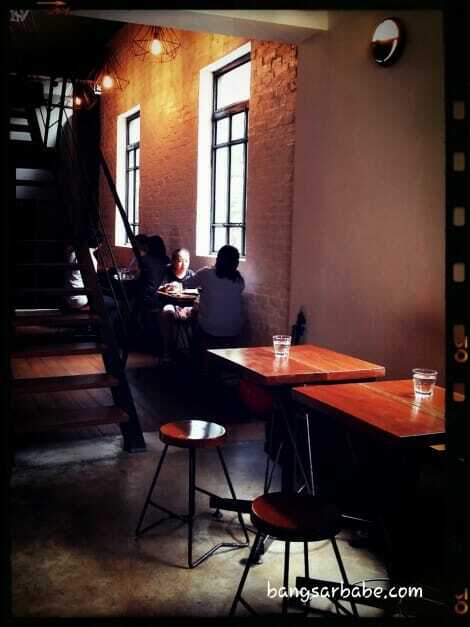 I really love this place and their coffee too! It’ll be ‘principles’ you are talking, not principals like my dear old principal, Brother James, who has since gone home to the the Lord.